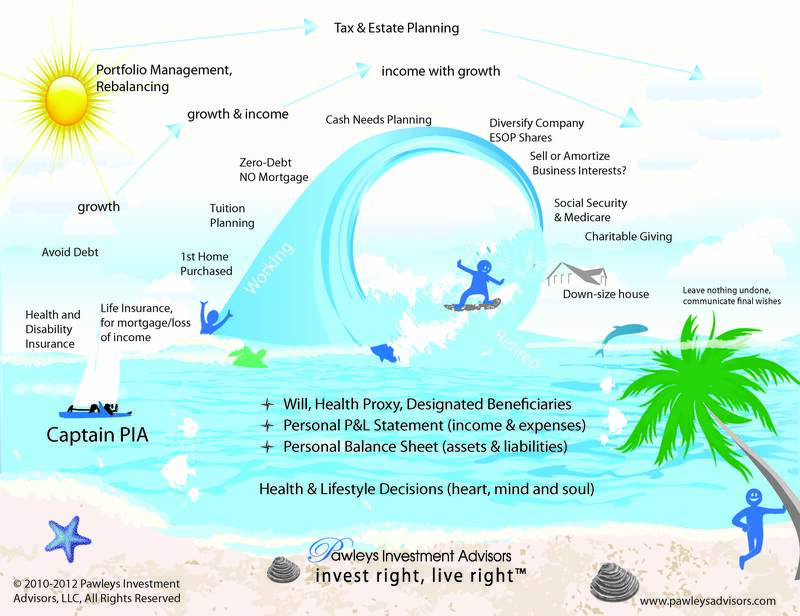 •Eligible Plans – IRA’s, Roth IRA’s, 401(k)’s, 403(b)’s, and 457 plans. •Adjusted Gross Income Limitations – must fall below income limits for 2012 of $28,750, head of household filers of $43,125 and joint filers of $57,500. The credit can be as much as $1,000 for single filers and $2,000 for joint filers, and is in addition to any deduction that may be available. The IRS Form 8880 can be found here: http://www.irs.gov/pub/irs-pdf/f8880.pdf. As always, consult a tax professional to see how this may applies as every one’s situation is unique and different. The above formula is the key to building wealth and meeting financial goals. It represents the power of compound interest, and understanding how the formula works is fundamental to understanding the time value of money. It will also help ensure that you build a nest egg sufficient to meet your unique financial goals. The sooner you have dollars to invest, the more value they hold. 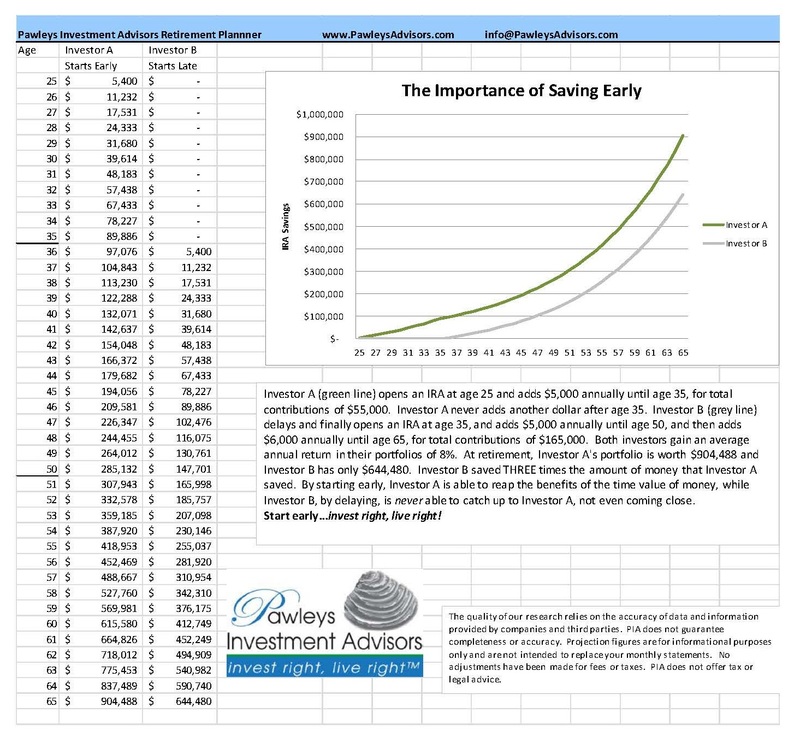 Dollars invested for longer periods of time will have greater returns over time, because you earn interest on your principal (original investment amount) and you receive interest on the interest you have already received. The two key factors are the rate of interest (or “i” in the above formula) and the frequency of compounding (in the formula “n” represents the number of compounding time periods). “FV” is the future value of the money and “PV” is the present value of the money. Because “n” is an exponent, it determines how many times the base of the equation will be copied (the interest) so the higher the number the greater the output. “It’s cake, c’mon it’s cake!” my calculus teacher Mr. Patrilack would say to our high school class as we shuddered. 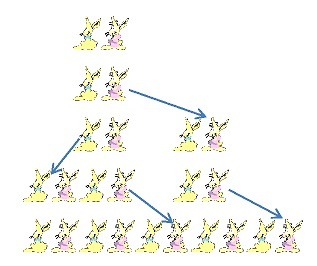 You can forget the formula and just think about the dynamics of a rabbit farm and you will understand compounding and the time value of money. The more rabbits you start with, the more you will have down the road. If you sell off some of your rabbits every year, you will have fewer down the road than you would have had you kept them. Fibonacci can give you more detailed numbers, but this is the general idea.